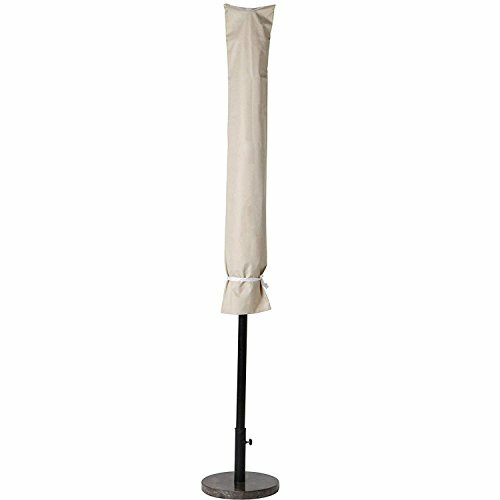 The market umbrella cover is constructed of Polyethylene fabric and specially treated for increased UV protection so it resists fading and fabric breakdown due to prolonged sun exposure and weather-resistant. A zippered opening for easy off's and on's. Perfectly sized for market umbrellas.. Our weatherproof umbrella covers are designed to protect against rain, snow, wind, UV sunlight, dirt and more. Grand Patio a top designer and manufacturer of high quality gardening products. we have experience over 20 years of providing patio Umbrellas, Awnings to Garden Furniture sets. Simply providing product to the market was not enough. Understanding the nuances and demands of both consumers and retailers became the focus. Each piece is sleekly designed, rigorously tested for durability, and assembly instructions have been standardized for simplicity from start to finish. This classic style and reliable craftsmanship will weather ever-changing trends and regular use for years to come. View More In Patio Furniture Covers. If you have any questions about this product by Grand patio, contact us by completing and submitting the form below. If you are looking for a specif part number, please include it with your message.